Are Omega 3 Fats Paleo? Yes, Omega 3 Fats are Paleo! Fatty acid is a carboxylic acid with long chain which is either saturated or unsaturated. Omega fatty acids are polyunsaturated fatty acids (PUFAs) that are long chain in structure that easily breaks down in the intestine and are used to aid in cell growth, healthy immune system and brain development. They can be found in both animal and plant sources. Omega fatty acids like Omega 3 and Omega 6 are essential fats (EFAs) that the human body needs to function. These cannot be produced by the body; hence the only source is food. As long as both Omega 3 and 6 are present in the diet, they can be synthesized by body. 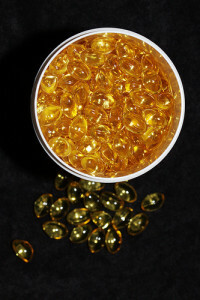 In this article, we will focus more on Omega 3 fats. There are three types of beneficial Omega 3 fatty acids: ALA (alpha linoleic acid), EPA (eicosapentaenoic acid) and DHA (docosahexaenoic acid). ALA is usually found in plant oils and is rich in seeds such as flax, chia, and hemp and dark leafy vegetables such as spinach. It can also be converted by to body to EPA and DHA but limited. Both EPA and DHA can be found on marine oils and high in amounts in cold water oily fish like sardines, salmon and herring. They can also be acquired from pastured meats and eggs but in lesser amount. EPA and DHA are natural anti-inflammatory agents and play a role in heart and brain health. As we mentioned above, Omega 3 fats can be acquired from both animal and plant sources. But the best source would be from fish. Some varieties have higher doses of Omega 3s than others. The top choices to get higher levels of Omega 3 are salmon, anchovies, herring, mackerel, lake trout, sardines, swordfish and tuna. Green leafy vegetables like spinach, kale, collard greens and broccoli can also supply Omega 3s too. Some nuts and seeds can be a good source of Omega 3 such as walnuts, pistachios, hazelnuts, almonds, chia and flax. Other healthier choices include avocados, free-range eggs and grass-fed beef. If you are not a fan of fish and vegetables, you can opt to fish oil. When choosing the right fish oil, consider the following factors: purity, freshness, potency, nutrients, bioavailability, sustainability and cost. Omega 3 fatty acids are good fats and offer a number of benefits that’s why it is highly recommended to be incorporated especially in the Paleo diet. Omega 3 fatty acids come with a variety of health benefits. But consuming high doses is not good for the body. It can cause problems such as altered immune function that can lead to slower response to infection and even prostate cancer. As the song goes, “Too much of something is bad enough!” Limit your consumption as to what you think is needed by the body. Click here to see what other oils are Paleo approved. What Experts Say About Omega 3 Fats.. Are They Paleo? Chris Kresser. How much omega-3 is enough? That depends on omega-6. Omega 6 and 3 in nuts, oils, meat and fish. Tools to get it right.